Charlotte Bront was a British novelist, the eldest out of the three famous Bront sisters whose novels have become standards of English literature. See also Emily Bront and Anne Bront. Charlotte Bront was born in Thornton, Yorkshire, England, the third of six children, to Patrick Bront (formerly "Patrick Brunty"), an Irish Anglican clergyman, and his wife, Maria Branwell. In April 1820 the family moved a few miles to Haworth, a remote town on the Yorkshire moors, where Patrick had been appointed Perpetual Curate. This is where the Bront children would spend most of their lives. Maria Branwell Bront died from what was thought to be cancer on 15 September 1821, leaving five daughters and a son to the care of her spinster sister Elizabeth Branwell, who moved to Yorkshire to help the family. In August 1824 Charlotte, along with her sisters Emily, Maria, and Elizabeth, was sent to the Clergy Daughters' School at Cowan Bridge in Lancashire, a new school for the daughters of poor clergyman (which she would describe as Lowood School in Jane Eyre). The school was a horrific experience for the girls and conditions were appalling. They were regularly deprived of food, beaten by teachers and humiliated for the slightest error. The school was unheated and the pupils slept two to a bed for warmth. Seven pupils died in a typhus epidemic that swept the school and all four of the Bront girls became very ill - Maria and Elizabeth dying of tuberculosis in 1825. Her experiences at the school deeply affected Bront - her health never recovered and she immortalised the cruel and brutal treatment in her novel, Jane Eyre. Following the tragedy, their father withdrew his daughters from the school. After her father began to suffer from a lung disorder, Charlotte was again sent to school to complete her education at Roe Head school in Mirfield from 1831 to 1832, where she met her lifelong friends and correspondents, Ellen Nussey and Mary Taylor. During this period (1833), she wrote her novella The Green Dwarf under the name of Wellesley. The school was extremely small with only ten pupils meaning the top floor was completely unused and believed to be supposedly haunted by the ghost of a young lady dressed in silk. 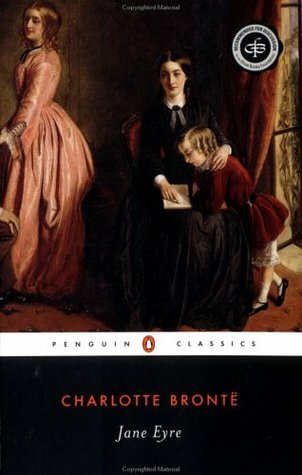 This story fascinated Bront and inspired the figure of Mrs Rochester in Jane Eyre. Bront left the school after a few years, however she swiftly returned in 1835 to take up a position as a teacher, and used her wages to pay for Emily and Anne to be taught at the school. However, teaching did not appeal to Bront and in 1838 she left Roe Head to become a governess to the Sidgewick family - this was partly from a sense of adventure and a desire to see the world, and partly from financial necessity. Charlotte became pregnant soon after her wedding, but her health declined rapidly and, according to Gaskell, she was attacked by "sensations of perpetual nausea and ever-recurring faintness." She died, with her unborn child, on 31 March 1855, aged 38. .